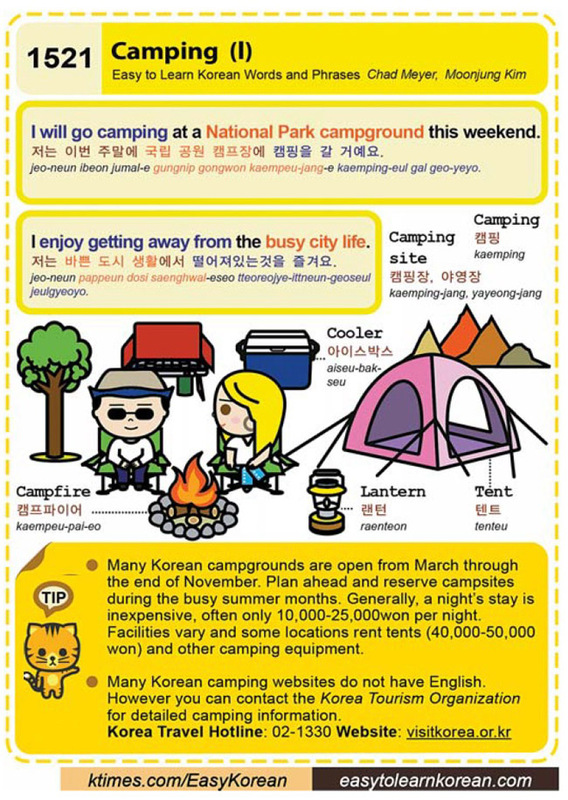 Easy to Learn Korean 1521 – Camping (part one). 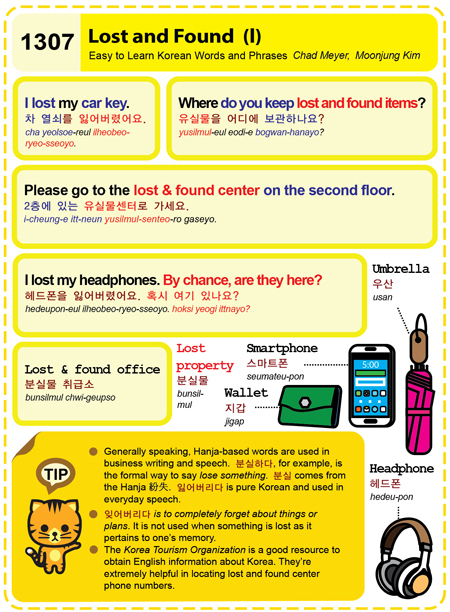 Easy to Learn Korean 1307 – Lost and found (part one). Posted in Series	| Tagged 2층에 있는 유실물센터로 가세요., completely forget, headphones, I lost my car key., I lost my headphones. By chance are they here?, Korea Tourism Organization, Lost & found office, lost and found, lost property, Please go to the lost & found center on the second floor., smartphone, umbrella, wallet, Where do you keep lost and found items?, 紛失, 분실, 분실물, 분실물 취급소, 분실하다, 스마트폰, 우산, 유실물을 어디에 보관하나요?, 잃어버리다, 잊어버리다, 지갑, 차 열쇠를 잃어버렸어요., 헤드폰을 잃어버렸어요. 혹시 여기 있나요? Easy to Learn Korean 1244 – MERS (part two). Posted in Series	| Tagged and difficulty breathing., children, Difficulty in breathing, dults over 65, Fever, high fever, infants, kdc.go.kr, KNIH, Korea CDC, Korea MERS Hotline, Korea National Institute of Health, Korea Tourism Organization, KTO, MERS, phone 1330, pregnant women, Symptoms are coughing, To become feverish, To have a cough, Wash your hands frequently with soap and water., www.nih.go.kr, 고열, 기침하다, 메르스 핫라인 043-719-7777, 발열, 발열하다, 손을 비누와 물로 자주 씻으세요., 증상은 기침, 호흡곤란, 호흡곤란이에요. Easy to Learn Korean 1164 – Hwacheon Mountain Trout Ice Festival (part one). Posted in Series	| Tagged After the river freezes the ice is 40cm thick., chuncheonterminal.co.kr, Festival, foreigner-only shuttle bus, fresh water mountain trout fish, Gangwon Province, gogogangwon.com, Gwanghwamun Station, Hwacheon County, Hwacheon is very famous for having clean water., Hwacheon Mountain Trout Ice Festival, I caught a fish!, ice fishing, ice sculpture, Korea Tourism Organization, narafestival.com, registration, sancheoneo, transportation, 강원 화천군 화천읍, 강이 언후에는 얼음의 두께가 40cm가 되요., 물고기를 잡았어요!, 산천어, 얼음 낚시, 얼음 조각, 화천은 깨끗한 물로 유명해요.